Voters go to the polls Nov. 15 in British Columbia to elect municipal leaders for the next four years. This will be the last such general election in your city, town or village until 2018. Get out and vote. Choose wisely. You have more power at the ballot box on Nov. 15 and then less power the next day, because the winning politicians will have an extra year to make laws and spend your hard-earned dollars, thanks to an amendment by the B.C. Liberal government last spring. 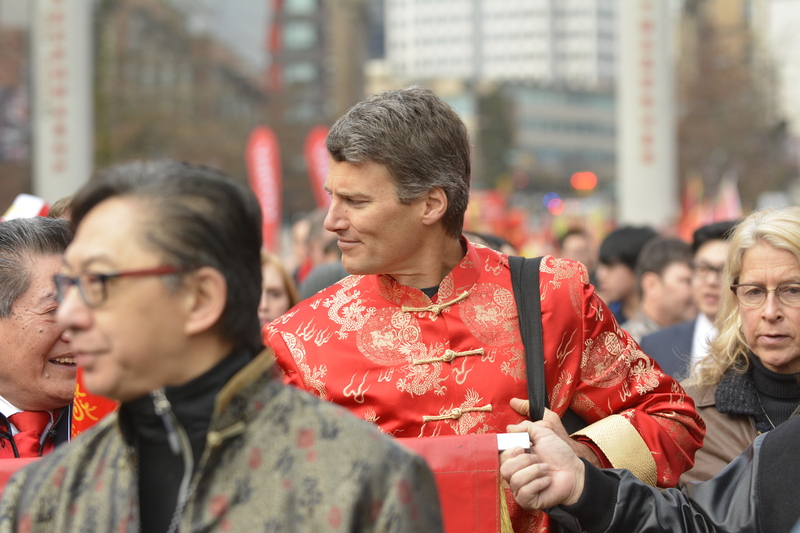 In Vancouver, Mayor Gregor Robertson is seeking a third term and the potential to stretch his reign at 12th and Cambie to 10 years. He wants it so badly, that he issued a half-hearted apology to start the last debate of the campaign on Nov. 12 on CBC Radio’s Early Edition. A sign that Vision Vancouver’s polling was going in the wrong direction. Was he sincere or just worried about losing? A case of say anything, just to keep power? Vancouver voters need to ask themselves if they want to reward Robertson, take a left turn with COPE’s Meena Wong or make mild-mannered ex-newsman Kirk LaPointe of the NPA the next mayor. Indeed, Robertson has plenty to apologize for, beginning with the broken promise to end street homelessness by 2015, which was central to his 2008 campaign. Homelessness has actually increased under Vision. City hall went to court to evict the homeless tenters from Oppenheimer Park a month before the election. A Downtown Eastside housing project for women and children, near Oppenheimer Park, is running a year behind schedule. But there is more. Under Vision Vancouver, citizens are no longer provided a line-by-line budget. What is the real financial position of the city? Does the city really have $1.8 billion (and rising) of gross liabilities? The campaign unofficially began the day Vision claimed that it balanced the Olympic Village mess at the end of April. Heck, Robertson even claimed taxpayers were ahead by $70 million. A gold medal-worthy performance of spin. The elephant in the room? The money never recovered for the cost of the land. Taxpayers are on the hook for more than $100 million. The financial terms and the contract with the Aquilinis remain secret for now. Vision rode into power in 2008 over the bailout of developer Millennium and released reams of documents about the Olympic Village before pushing into receivership. And what about labour relations, after Coun. Geoff Meggs all but promised more work for the outside workers’ union when he went to an Oct. 14 CUPE Local 1004 meeting and Vision got a $102,000 donation? I created the #GreyestCity hashtag to spread the word about a civic government that has become as secretive as the Harper Tories and Clark Liberals. Robertson promised in 2008 that he would make city hall more open and accountable. In his swearing-in speech, he even said “I will not let you down.” Instead, he has made it go backwards. With his blessing, his hand-picked city manager Penny Ballem created a propaganda department of 33 people that is a miniature version of what she enjoyed in Victoria while deputy health minister under Gordon Campbell. Reporters no longer can talk with senior bureaucrats. Routine queries for facts and statistics are sometimes referred to the Freedom of Information office. That’s a process that can take six weeks or more to get an answer. To assist its communications apparatus, city hall contracted, without tender, Angus Reid’s Vision Critical for the so-called Talk Vancouver citizen polling software program. It forged an alliance with Hootsuite, giving the social media analytics and advertising company an untendered lease of a civic building. A lease that city hall fought for months to keep secret. The ultimate in chutzpah has to be the irrational secrecy around procurement. Bureaucrats who meet behind closed doors have largely supplanted the politicians who meet in public when it comes to outsourcing tens of millions of dollars of goods and services. In Toronto, the bid committee releases agendas and minutes about how it doles out contracts. Here in Vancouver, one must file a Freedom of Information request and then complain to the Office of the Information and Privacy Commissioner to get a list of bidders and their bids. It’s a process that can take a year or more. This is the way they used to do it in Montreal, before the police moved in and arrested corrupt officials. See: Charbonneau Inquiry, which wrapped-up Nov. 14, for more information. If those who report in the public interest are frustrated, how about the citizens who only want to be heard and given a chance to help shape the city? Vision has divided communities in its bid to conquer the city, so much that those unhappy with city hall decisions have resorted to the courts for help. That includes residents near Yaletown (who don’t want a tower built next door to a park) and Northeast False Creek (who wait for a long-promised waterfront park). A half-dozen volunteer community centre associations resisted city hall’s move to centralize management and take away their joint operating agreements. When it came time to devote himself to the campaign trail in late October, Robertson’s camp, which includes many BC and federal Liberal backroom strategists, ran attack ads criticizing Kirk LaPointe for living on Point Grey at the University of B.C. It used many of the same tactics against the NPA that the BC Liberals used against the NDP in 2013. Coincidentally, Vision’s logo designer is a friend of Premier Christy Clark’s and recently handled an anti-B.C. Teachers’ Federation website for the provincial government. One cannot forget how, in 2010, Robertson foolishly expressed admiration for the government of the People’s Republic of China, which, last time I checked, was undemocratic and disrespectful of basic human rights, such as freedom of speech. LaPointe has pledged to move into City of Vancouver, a city where one of its most popular mayors never lived; Fred Hume commuted from West Vancouver from 1951-1958. Meanwhile, Robertson didn’t list on his nomination documents the address where he wakes up in the morning and goes to sleep at night. He says he lives in a “downtown apartment,” but, for some reason, doesn’t want the public to know the address. How did he get there? He moved out of his house near the Point Grey Road bike lane after separating from wife Amy Robertson in mid-2014. They said it was an amicable and mutual split. Before it was announced July 5 in news releases from the Mayor’s Office and Vision Vancouver, I sought comment from Robertson and Vision Vancouver co-chair Maria Dobrinskaya about the rumours, but they did not return calls. On July 5, Vision publicly released a June 16 email from then-NPA vice-president Rob Macdonald that mentioned “Gregor’s widely rumoured philandering.” We still don’t know whether or not his personal situation has affected his performance as mayor or compromised his ability to do the job, which is a concept I explored in this analysis from July. It was interesting how, on July 8, Robertson told the media that he wouldn’t sue Macdonald or anyone else. On Nov. 5, after he appeared on the CKNW mayoral candidates debate, I tried asking Robertson about the status of his professional relationship with an ex-staffer in the Mayor’s Office. He refused to stop to answer a few questions, so I followed him out the TD Tower and into the SkyTrain station at Georgia and Granville. “Are you out of your mind? So inappropriate and offensive,” was his response. I found it odd that he did not stop walking for even a moment, nor did he answer “no” to any of my questions. As for the address of his downtown apartment, he didn’t answer that question. Two sources had informed me that the building address is 1028 Barclay St., but a search of the property registry doesn’t show his name on any of the suites in Patina, the Concert Properties-developed luxury tower behind the YMCA. His name doesn’t show up on the residents’ directory outside the lobby; there are numerous listings for “occupied.” The luxury condo tower does have a number of suites rented out on a nightly basis by a company called Corporate Stays. Robertson has used taxpayers’ money or time to create his image of statesman. To what end? He has traveled the globe to sell his party’s Greenest City 2020 agenda more often than promoting Vancouver as a tourism and trade destination and blown small sums on carbon offsets. Vision Vancouver gave away public space to Telus for its cell phone antennas in exchange for rarely used electric vehicle chargers around English Bay. It built more bike lanes, ignored the thoughts of affected seniors and people with disabilities and gave itself a pat on the back, even though its citizen engagement was merely a public relations ploy. It threw public money away on a risky vertical garden project in a city parkade that was hyped by a penny stock company. It thinks grass on the roof of towers at the Oakridge Centre development is an acceptable substitute for a ground-level park. Campaigning against the Kinder Morgan pipeline (which terminates in Burnaby, not Vancouver) and the expected increase in oil tankers is central to Robertson’s campaign. But does Vision really care for the health and safety of Vancouverites and the city’s air and water? It refused to release to me any of the Mayor’s Office’s correspondence with federal or provincial officials about the risk to the environment of trucks, trains and freighters and cruise ships. City hall would have been within the law to release those letters (if any exist) before the election, but chose not to. Vision also thinks artificial turf between sidewalks and curbs is a smart thing for downtown. Apparently it isn’t easy being green: Vision gave each reporter 40 single-sided photocopied pages inside a green folder at a Nov. 3 news conference. Symbolic of Vision itself? Nah, maybe that’s what happens when you raise more money than any other civic political party from corporations and unions and don’t care how you’re spending the dough. The king of them all might be the $12 million spent on the Cornwall-Point Grey bike lane project and reconfiguring the intersection at the south end of the Burrard Bridge, instead of refurbishing the decaying bridge. Meanwhile, it unsuccessfully fought to keep secret for two years a series of engineering reports that recommended major repairs to the Burrard Bridge, including the erection of suicide barriers. The B.C. Coroners Services recommended suicide barriers for all Metro Vancouver bridges in a 2008 report and still nothing has been done for the bridges in Vancouver city hall’s jurisdiction. Is the Mayor sorry at all to the loved ones of the six distraught people who died jumping from the Burrard Bridge from 2009 to 2012? All the above is just a small sampling of Vision Vancouver’s history in government. Far from perfect, but very far from transparent and accountable. Choose wisely, Vancouver. The winners on Nov. 15 will be in office for the next four years, not three.